Network publishers are specialty machines that allow multiple users to duplicate and print discs through an automated disc publisher that is connected to a local network. Integrated software applications as well as USB and Ethernet capabilities make it possible for corporations, agencies, organizations, and other business environments to collectively produce large quantities of optical discs. Software bundled with the duplicator enables access across the network so that multiple users can send jobs to be duplicated and printed from their own workstations, without having to get up. This way, workflow for distribution and duplication can be streamlined. The majority of network publishers are automated and do not require excessive space for storage or placement. They are very manageable pieces of equipment. 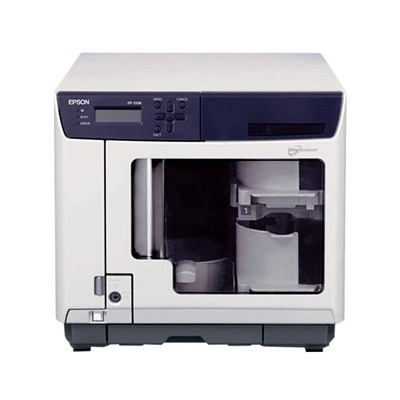 Specific media formats as well as ink and thermal ribbons are dependent on the duplicator and printer models used. While they are considered automated, some models do not include a robotic arm to unload and transfer stacks of discs. In such cases, a person is required to do these tasks.